The seasons they are a-changin’. Since I spent all summer embodying Jabba the Hutt, it is now time to get to the gym and lay off the butter. Or maybe just get to the gym… But whatever. 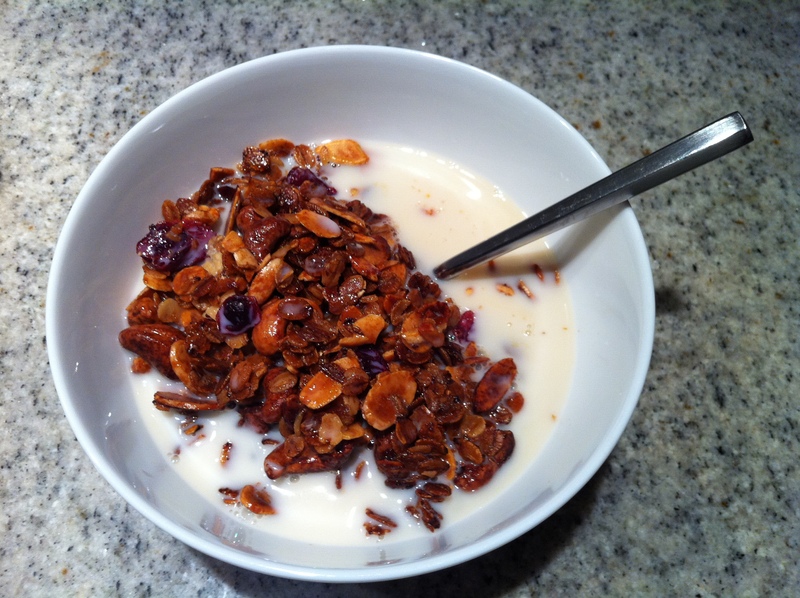 So, to kickstart my new health and fitness plan, I decided to make a delicious and nutritious, fiber-filled and honey-kissed granola. Combine the oats and nuts in a large bowl. Mix thoroughly. Whisk together the oil, honey, vanilla and cinnamon. Pour it over top of the oat/nut mixture and toss to combine. Spread the oats out evenly on a large sheet pan and roast for about 45 minutes or until it is golden brown, stirring occasionally. I unfortunately roasted everything for about 50 minutes or until golden black (Glee season premiere… come on…). 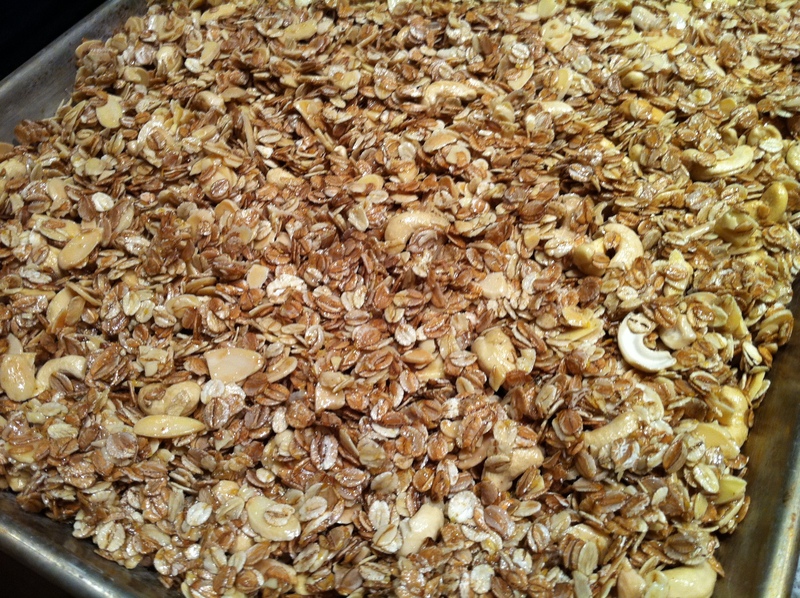 Take the roasted oats/nuts out of the oven to cool, stirring occasionally. Then add the fruit and you are good to go! 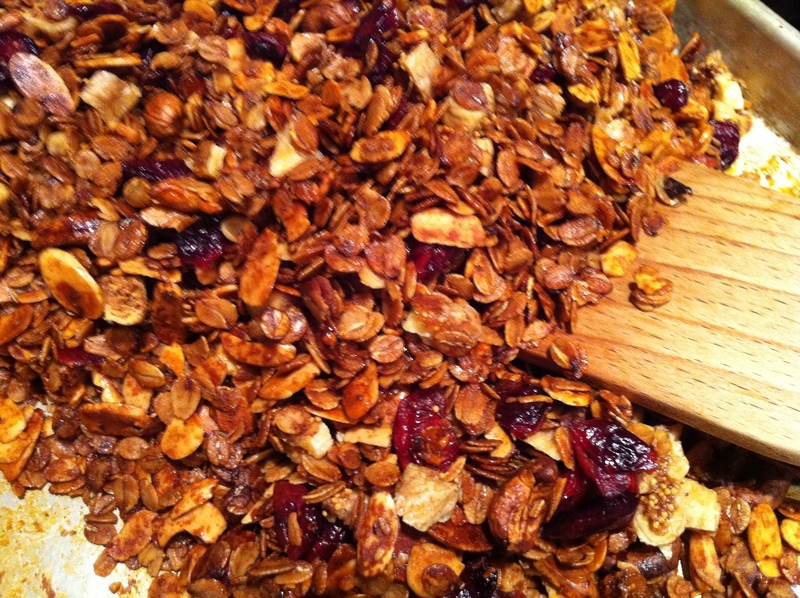 My granola has a slight burned caramelized aftertaste, but it is still yummy! I thoroughly enjoyed it for breakfast this morning with some vanilla soy milk. 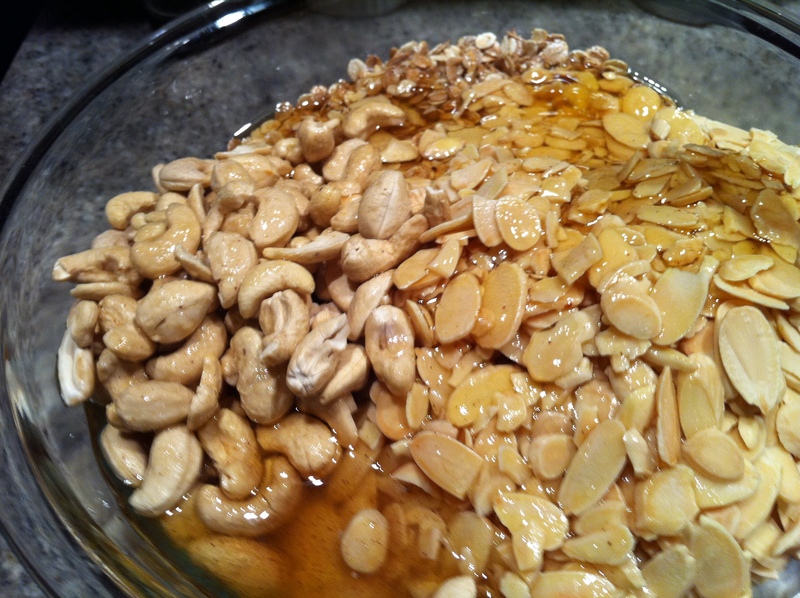 This entry was posted in Honey and tagged almonds, breakfast, cashews, granola, honey, oats, roast, soy milk. Bookmark the permalink.